HomeJuly 2016What does stability look like in communities? 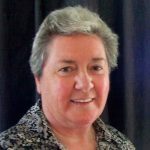 We can create relationships of stability and hope in fragmenting and fractious times by recognising “the call of the moment and responding to it”, says Good Samaritan Sister Pam Grey. “It’s a question of where you feel you belong”, said the poster outside the British voting booth. The resulting exit from the European Union would satisfy those who didn’t feel they belonged in the Union. However I wonder about the young British people who have known their place in the Union since childhood. Experiences of instability, loss of hope and anger are to be expected from the dismantling of the old alliances and opportunities for work and travel. The very question: “Where do I now belong?” can be destabilising. Outside polling stations in the recent Australian Federal election I read the one-word slogan “stability” and had the impression it really meant “Please don’t change the status quo”. Are you satisfied with Australian society as it is today? Are there aspects that deeply disturb you? Have we become strangers to each other? Just making eye contact has become a rare joy for me these days. Associate Professor of Politics, Paul Strangio’s description of our society as “fragmenting and fractious” rings true. In a political sense, he recommends “clarity of philosophical purpose with imaginative means to forge new coalitions of support”. In a social sense, I think we need clarity of purpose and imagination in gathering people together. We need to explore elements that make up “stability”. Imagine the many tasks toddlers must achieve before learning to balance and walk. At first they need the supportive hands and voices of others. Then they try and fall and learn the tricky skills of getting up again. Then comes the radiant smile on the toddler’s face when she takes her first steps into the arms of another. Ongoing experiences of balance, strength, co–ordination, determination, and the loving support of another are the elements that make up stability for toddlers in their quest for reaching their desire. St Benedict made stability one of the three vows for his community which was made up of young and old, artisans and laborers, farmers and scholars. This community began in a time of social disintegration, the collapse of the Roman Empire of the West, in the sixth century. St Benedict wrote a Rule to guide his community in living a Gospel way of life together. Chapter four of St Benedict’s Rule sets out 74 tools to guide the monks in creating a stable, listening and renewing community. In his book Seventy-Four Tools For Good Living, Australian Cistercian monk, Father Michael Casey, describes a tool as “the challenge to recognise the call of the moment and to respond to it”. The tools help to maintain stability of purpose, to stay in tune with the truth and to seek Christ in unexpected people and places. St Benedict’s first tool describes “Wholehearted love of God and my neighbour”, while the last stabilising tool is “mercy” – “Never despair of God’s mercy”. Taken altogether the tools name essential elements for a wholesome pattern of life. The relationship that exists between a well-balanced life and a profound sense of belonging is revealed in a story of a Japanese pond, first told by an architect, Christopher Alexander, in The Timeless Way of Building. A farmer had made a small, simple rectangular pond for his farm. The water flowed from a little irrigation stream and flowers bent over the edge. At the other end of the pond a circle of wood was placed about 30 centimetres under the surface of the water. Eight ancient carp swam slowly, in circles – often within the wooden circle. Flashes of orange, gold, purple and black broke the surface. The oldest fish was 80 and its whole world was there in the pond. The farmer sat by his pond for a few minutes each day. Alexander thought that the pond was so true to the nature of fish and the flowers, the water and the farmers, that it had sustained itself for all that time, “endlessly repeating, always different”… “It is not mysterious. It is above all ordinary. What makes it eternal is its ordinariness… it reminds us of the passing of our life”, surmises Alexander. Have you ever sat beside a pond or looked out across a lake and pondered? The elements that make up a stable pattern of life are often so ordinary, aren’t they? It is good to recognise them and if missing, to restore them.